Classical music: This is your brain on music! 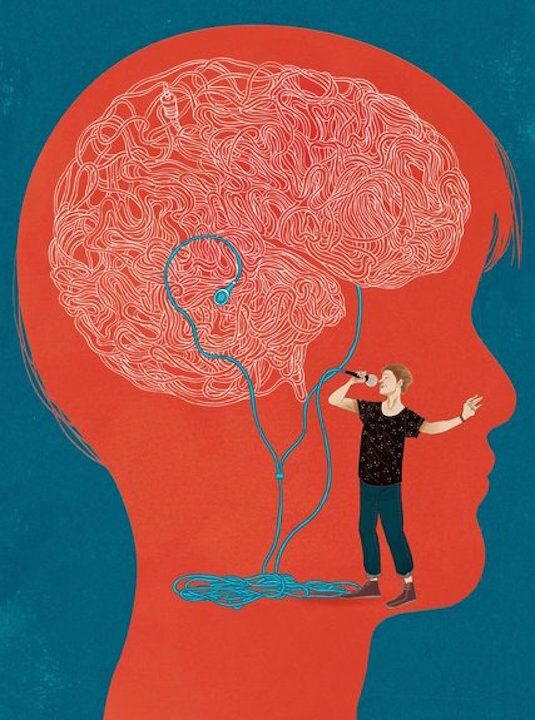 New scientific research shows that the human brain evolved special channels for hearing music. Read all about it! 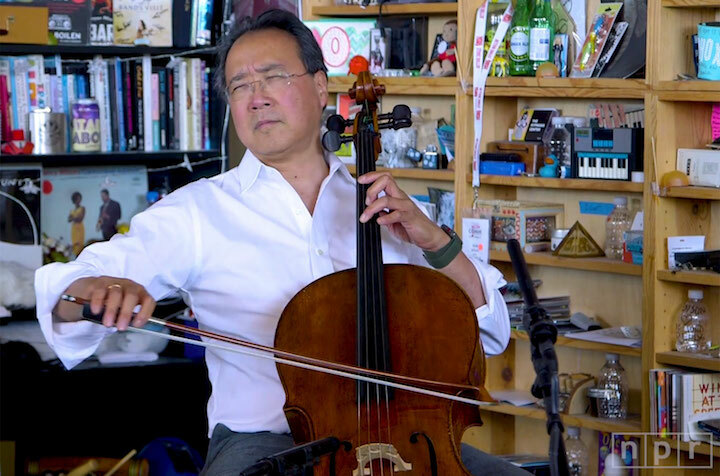 One of the most fascinating stories The Ear has ever read about music and science came last Tuesday in this week’s Science Times section of The New York Times. 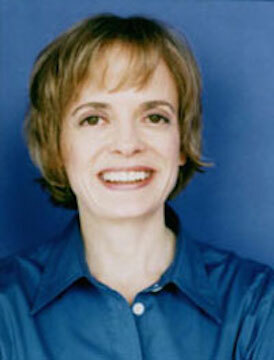 The “Music Channel” story was reported by the acclaimed science writer and journalist Natalie Angier (below), who won a Pulitzer Prize and has been nominated for a National Book Award She also included a sidebar story about her own experience undergoing the kind of MRI scan that helped researchers. 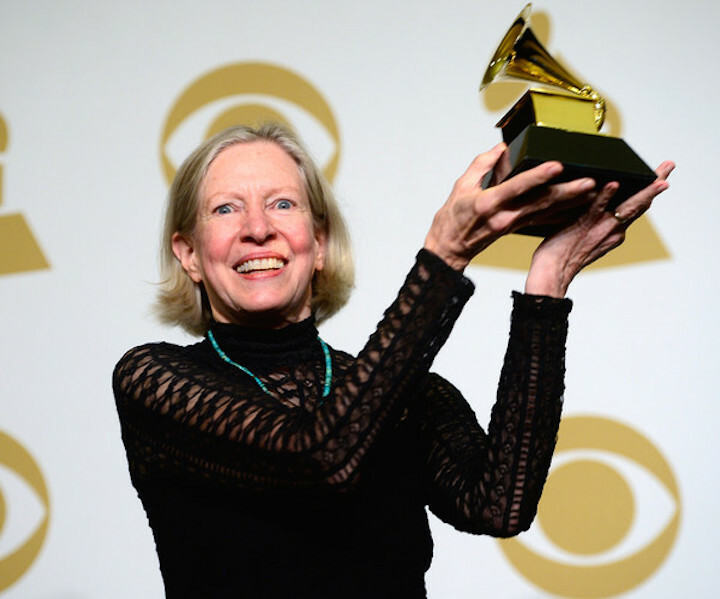 The upshot is this: No matter what kind of music you like – classical, jazz, folk, country, rock, pop – the human brain has developed special neural pathways to perceive the music. In short, the human brain seems to have its own music room. The story says this may help to explain why music seems a universal, cross-cultural phenomenon and why the first music instruments, such as the vulture bone flute found in Germany (below, in a photo by Jensen of the University of Tubingen) date back 42,000 years — some 24,000 years before the first cave painting appear in Lascaux, France. Plus, the story points out that the scientists and researchers at the Massachusetts Institute of Technology (MIT) do not get the same result with non-musical noises. The special nerve pathways or circuits seem to have evolved specifically to receive musical information. There is a lot more fascinating information in the story. The Ear looks forward to seeing more research about why music is special to the human brain: Is it the structure of music? The logic and intellectual content? Primarily the melody or harmony or rhythm? The emotional content? 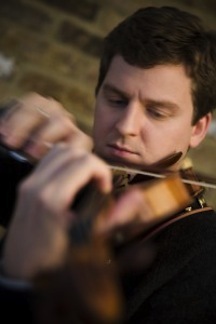 ALERT: University of Wisconsin-Madison School of Music 2011 alumnus and violist Elias Goldstein is on his way to Carnegie Hall in New York City to perform all the virtuosic 24 Caprices originally for solo violin by Niccolo Paganini. 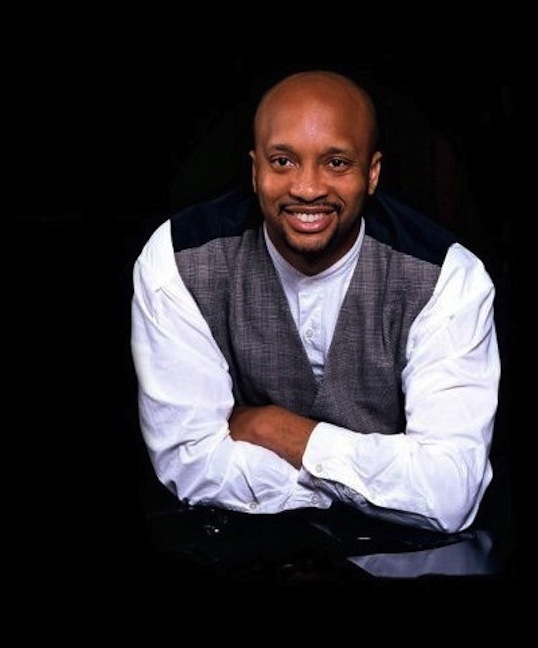 But first he will perform them here in a FREE concert that also includes other works with pianist Thomas Kasdorf, another UW-Madison alumnus, on Tuesday night at 7 p.m. in Morphy Recital Hall. (Sorry, no word on the rest of the program.) 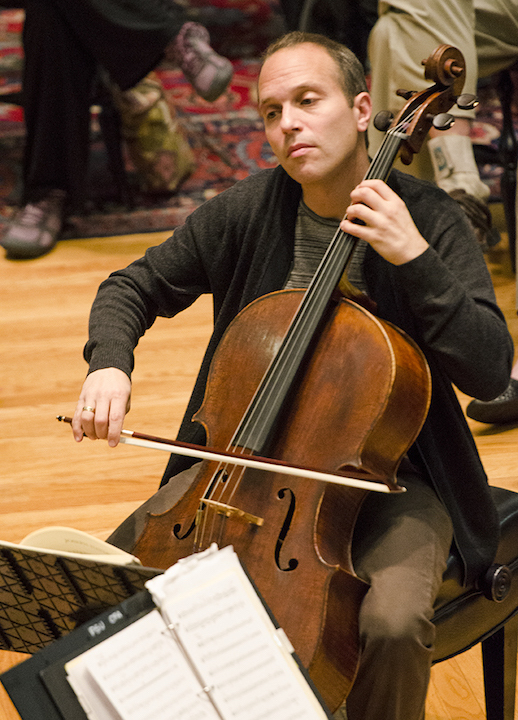 Goldstein will also give a FREE and PUBLIC master class on Wednesday at 2:25 p.m. in Morphy Hall. How does a contemporary American composer channel classic composers from more than 200 years ago? 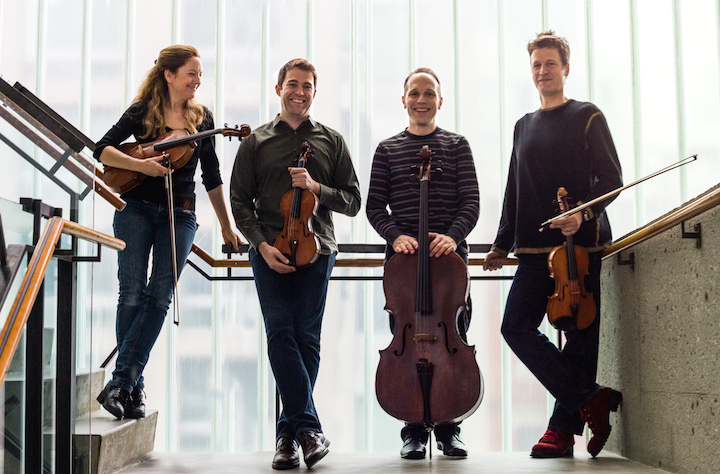 You can find out by going to hear the St. Lawrence String Quartet (SLSQ, below). The critically acclaimed string quartet will perform this Friday night at 8 pm, in Shannon Hall at the Wisconsin Union Theater. Tickets are $27.50 to $42.50. The program features two quartets by Franz Joseph Haydn, including the popular and famed “Emperor” Quartet and the earlier “Joke” Quartet as well as the Midwest premiere of John Adams; String Quartet No. 2. Can you briefly bring the public up to date since your last appearance in Madison, when you performed “The Dreams and Prayers of Isaac the Blind” by Osvaldo Golijov? Major residencies and tours? Major commissions? Major performing and recording projects? The St. Lawrence String Quartet has been busy with a wide range of projects in the years since our last appearance in Madison. We’ve had a personnel change – our newest quartet member is Owen Dalby, our second violinist, who joined us in the spring of last year. We happily continue as Artists-in Residence at Stanford University, where we are involved in a great number of activities, including teaching, performing, and collaborations with a wide range of schools and departments on campus. 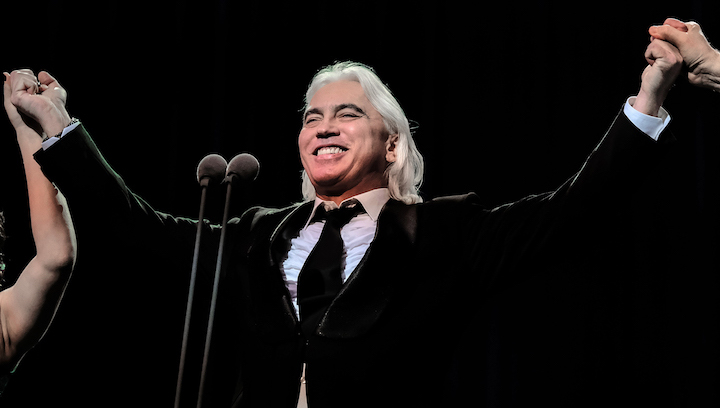 And our international touring schedule remains very active, with concerts throughout North America and Europe; our most recent European tour, in late summer of 2015, included concerts in Scotland, Germany, Romania, Hungary and Switzerland, and we will tour Europe twice in 2016. We’ve performed several pieces commissioned for us, including works by such composers as Osvaldo Golijov, Ellen Taaffe Zwilich, Samuel Adams, Jonathan Berger, James Matheson and George Tsontakis. 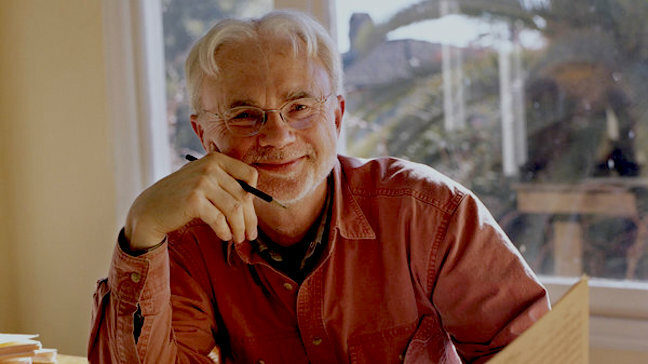 Of particular significance, John Adams has composed three works for us, two string quartets and a quartet concerto, “Absolute Jest,” which was written for the SLSQ, the San Francisco Symphony and the SF Symphony’s music director Michael Tilson Thomas. 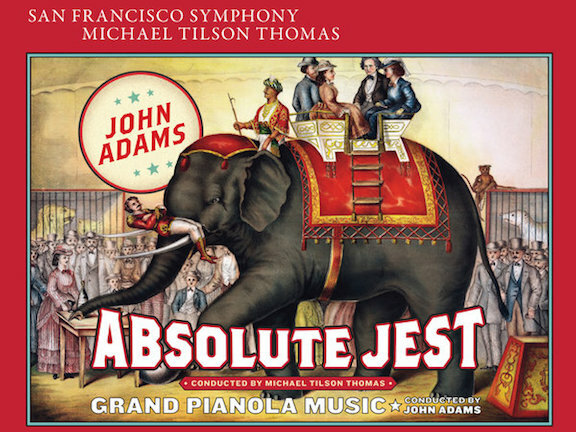 We’ve performed “Absolute Jest” on several national and international tours with the San Francisco Symphony, as well as with the London Symphony, the Toronto Symphony, and the New World Symphony. 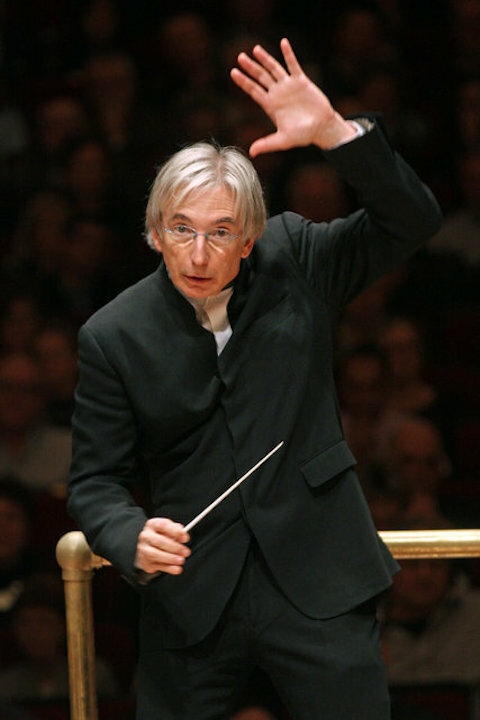 Our recording of the work with the San Francisco Symphony and Michael Tilson Thomas was released this past summer. We’ve recently embarked on a recording project of the Opus 20 quartets of Haydn, and other recording projects are in development. 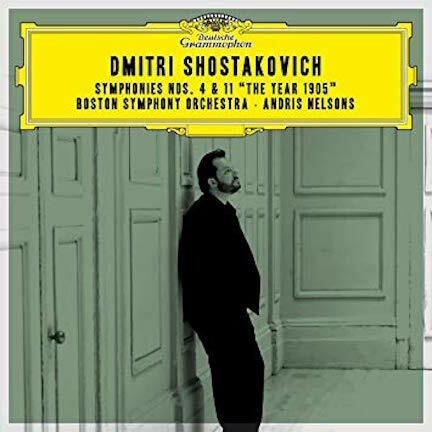 Why did you choose to perform two Haydn string quartets to open and close the program, instead of a work by Beethoven, given the Beethoven influences in the String Quartet No. 2 by John Adams? We often perform programs that begin and end with a Haydn quartet, with a contemporary work (or works) in between. This showcases the great variety and brilliance of Haydn’s gigantic contribution to the quartet repertoire. It also provides an interesting contrast between the earliest works for quartet and current compositional offerings, stressing the fact that Haydn (below) essentially invented the string quartet and paving the way for other composers to explore creativity in their compositions for quartet. 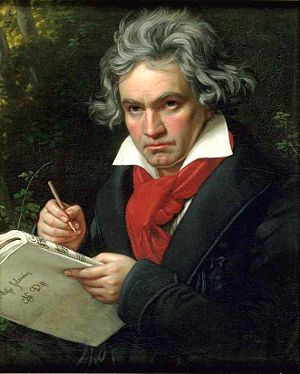 In truth, we do often program Beethoven (below) with the Second String Quartet by Adams. For this program, I think the Adams/Haydn juxtaposition will be a meaningful comment on the evolution of quartet writing, from the early years to works of the present. As an exercise in compare and contrast programming, what would you like the public to know about the “Joke” and “Emperor” Quartets by Haydn? About Haydn’s music in general? Haydn’s “Joke” Quartet, from his Op. 33 set, is, as you might guess, filled with humor and wit. The quartet is actually quite straightforward structurally, filled with robust and positive energy and simple, appealing melodies. It’s a compact work, inviting and charming. 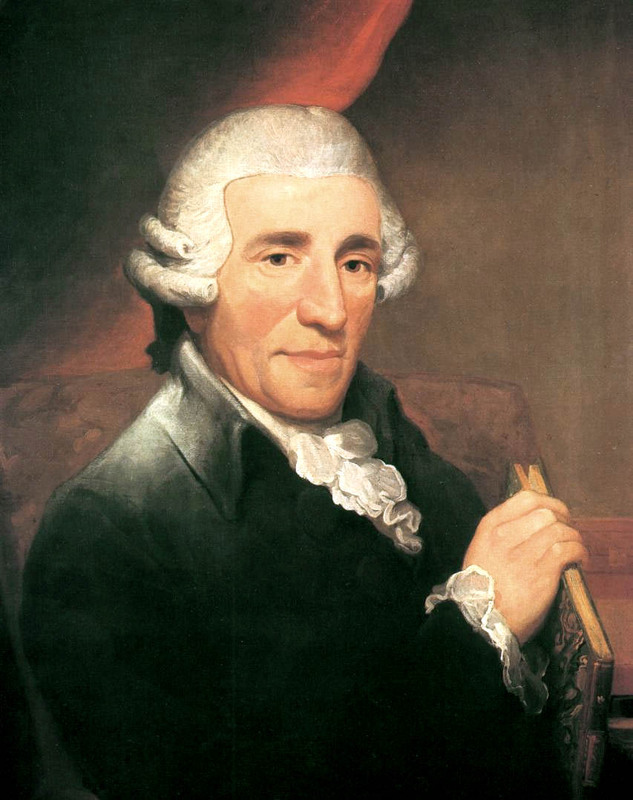 Of significant note, the “Emperor” is named thusly for the second movement, a theme and variations based on the tune Haydn (below) originally wrote for the Emperor Francis of Austria as a sort of national anthem. What should readers know about the String Quartet No. 2 by John Adams (below)? How is it similar to or different from his other works that the public knows such as “Nixon in China,” “The Death of Klinghoffer,” “Doctor Atomic” “Harmonielehre” and “On the Transmigration of Souls”? Will this performance be the Midwest premiere? Will you record the quartet? John Adams’s Second String Quartet is very strongly based on two motivic ideas from Beethoven’s Op. 110 piano sonata, as well as a variation from Beethoven’s “Diabelli” Variations. The Beethoven elements are clearly presented in clever and skilled ways, and I think many of them will be evident to the astute listener. Most importantly, John is brilliant in his transformation of the Beethoven quotes, and the piece is very clearly an Adams piece, characterized by driving rhythms, great energy, and a true sense of musical intent and balance. 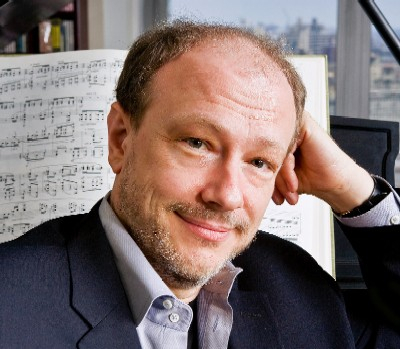 To get a sense of the piece prior to hearing it, I suggest listening to “Absolute Jest” (our recent recording) – another of John’s pieces inspired by Beethoven and filled with late Beethoven quotes – and the Op. 110 Piano Sonata by Beethoven. We’ve performed the Second Quartet on several occasions since we premiered it at Stanford University about a year ago, but I do think our Madison performance will be a Midwest premiere. We are currently considering the possibility of recording the work, but specific plans have not yet been made. We’re thrilled to be returning to Madison after a gap of several years. It’s very exciting to be bringing a program of music by two of our favorite composers, Joseph Haydn and John Adams, and we think contrasting the two will be interesting and enlightening to all. Classical music: Oh say, Can You See Common Sense? 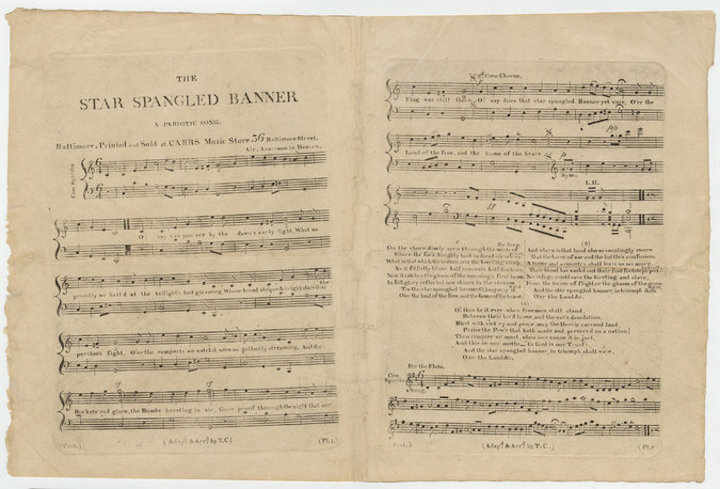 On Independence Day -– the Fourth of July -– let us recall how the national anthem “The Star-Spangled Banner” has evolved. Standards of social justice and definitions of independence should also do so. 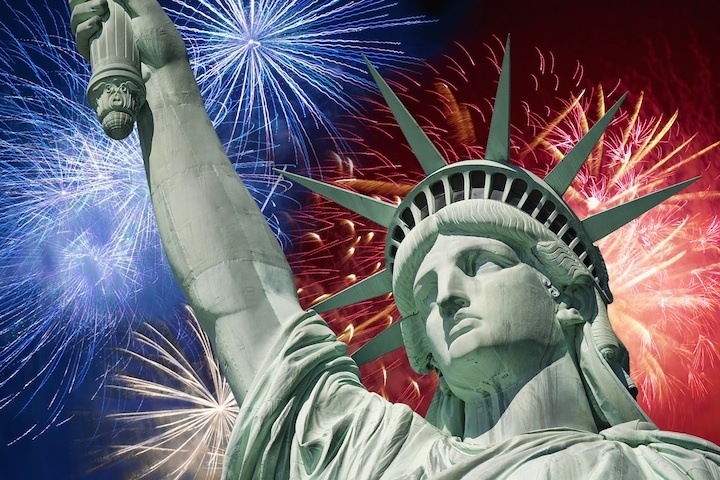 Today –- July 4, 2014 — is Independence Day in the United States. We will celebrate with food, drink and fireworks as well as parades and social events. But make no mistake: Our celebrations have changed, necessarily, with history. 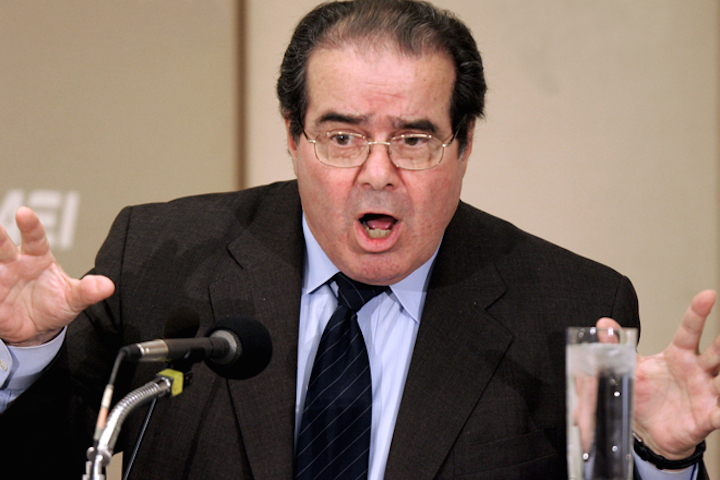 Despite what some misdirected U.S. Supreme Court justices like Antonin Scalia (below top), Clarence Thomas and others think with their so-called “originalism,” we all live in history. 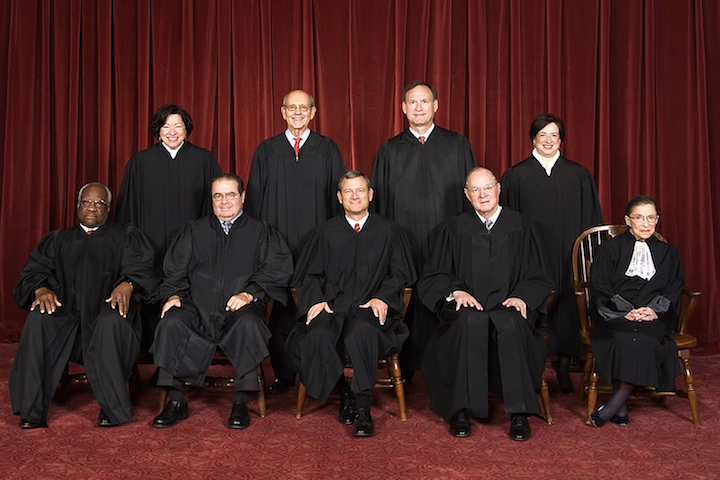 The assumptions and interpretations of Originalism have been debunked by many scholarly professors who specialize in 18th-century American discourse and law, and whose research disproves those same assumptions and interpretations to be mistaken. To The Ear, it is kind of like hearing the radically conservative activists of the Right Wing accuse leftists and liberals of being activist: Name-calling hypocrisy dressed up in new clothes. It amounts to this: Whether as individuals or a society, we all change through time. And so justice and so does music. The Ear recalls the movements, once fringe and now mainstream, that brought us period instrument and historically informed performances. That is why we now hear such Baroque masters as Johann Sebastian Bach, George Frideric Handel and Antonio Vivaldi so differently. It is also why we hear many other Baroque composers and early music masters that were ignored before. Usage evolves. It has to. Have a Happy and Safe Fourth of July.